The control that Town Planners have is a controversial issue and causes many disputes. How much control should planning authorities have over the lives of individuals? These regulations are meant to be based on the best decision for the buildings and for the town and therefore for the people of the town? When we lived in Scotland, the local planners, basically prevented any building in the countryside. If you were ever lucky enough to be able to find a site to build a house, then usually, it had to fit in and look as if it had been built in the 19th century. That meant a small footprint, small windows, no overhangs, and slate clad roof. Of course, the planners said there was a place for modern architecture, but with many set conditions. It was refreshing to come to Canada and find that the individual has the right to build what he likes where he likes. This could have its problems, especially if someone built a four storey hen house next to your home. 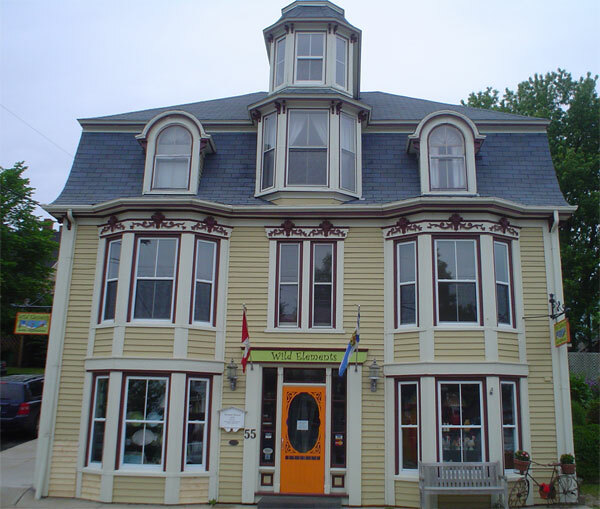 Lunenburg is a World Heritage Site and as such has its own planning regulations. There are several heated disputes in the old town at the moment. 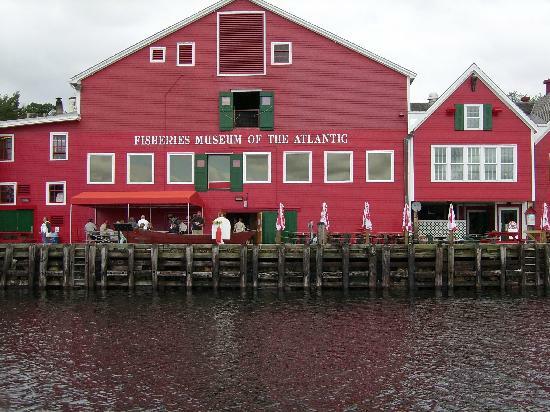 You may remember some of my photos of buildings in the old town, showing the brightly painted buildings of reds, blues and yellows, like the Fisheries Museum on the waterfront. There was a great dispute regarding the buildings below and I asked for comments to see if anyone thought them inappropriate, but got no responses either way. They are definitely brightly coloured, but perhaps not traditional? They have, however, been very well renovated and the workmanship is excellent. Many houses are painted in vibrant blues, greens and yellows. While some colours may not be ‘historically correct’ there can be no doubt that they contribute to the rich variety for which the town is widely known. Although the Council has the authority to regulate building colour, it has chosen not to do so, in order to preserve the individual freedom of expression. Over the past few weeks another building in the old town has been repainted. Does this building add to the rich variety of the town? It sits opposite the Fleur de Sel restaurant. And the gift shop ‘Wild Elements’. Should the local planning authority make a stronger stand or should each individual be allowed to paint their buildings as they wish? There is another dispute which is splitting the town. Here is a section from the local press regarding this issue. The fate of a century-old building located on Cumberland Street that has divided a community now rests in the hands of one man. 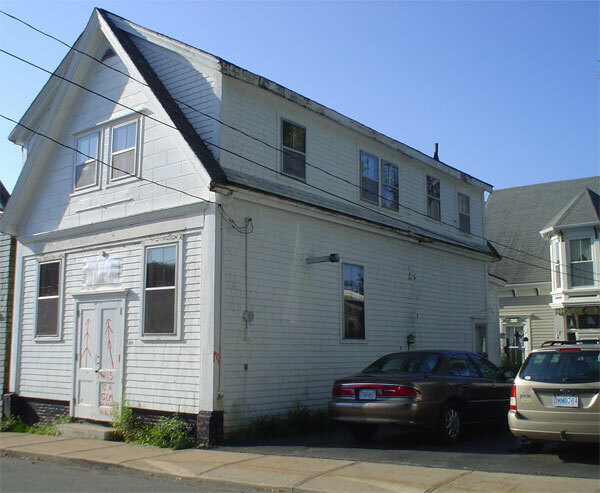 Wayne Cochrane of the Nova Scotia Utility and Review Board (NSURB) acted in the dual role of judge and jury as an appeal hearing into Lunenburg council’s decision to grant a demolition permit for the former IOOF hall opened at the Lunenburg fire hall March 9. 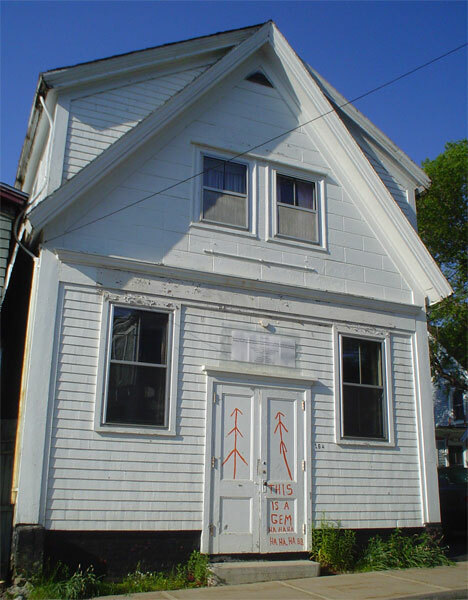 Earl and Brenda Bachman had purchased the property, which abuts the back end of their Lincoln Street residence, last summer with the intention of tearing it down and creating yard and garden space. Because the structure was built sometime between 1879 and 1890, it is designated pre-1940 on the town’s heritage map. As such, council was required to conduct a public hearing under the rules of the heritage bylaw regarding the Bachman’s request to tear down the building before rendering a decision. Council ultimately approved the Bachman’s request by a vote of four to one, with Councillor Peter Zwicker voting against the application, however an appeal of the decision was filed with the NSURB by the Lunenburg Heritage Society. You can read the whole article for yourself here. This is the building in question. This building was built as a store, around 1890, and has since been used by the Salvation Army, the IOOF and the Faith Bible Chapel. Should the planners insist on it being renovated, should it be moved to another site, or should the owners be allowed to demolish it? Please leave your comments, regarding this subject or just planning regulations in general. It is a pity that these events have upset so many people in this town. Congratulations. With this I mean the care of old wooden buildings. I love them very much and appreciate people whe take great care with love. 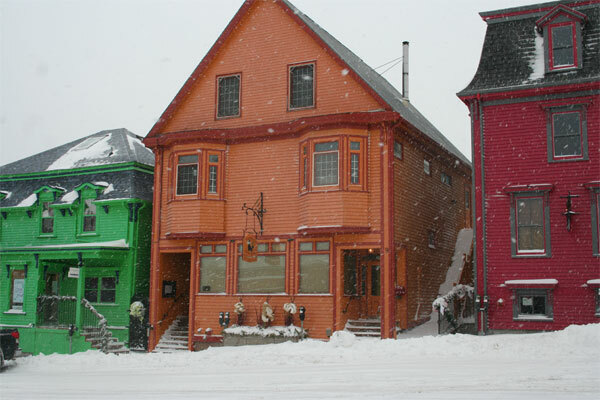 Your photos are very “precious” when showing the beauty of Lunenburg. Thank you. We think we are very lucky to be living in a town like Lunenburg. 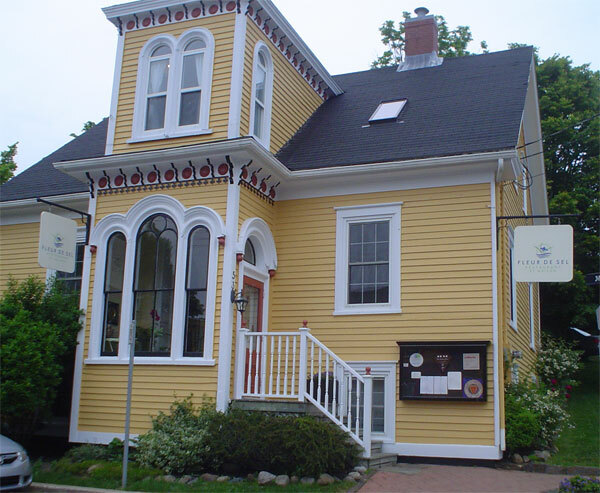 Not all buildings in “old town” Lunenburg are or should be designated as heritage properties. This building has obviously been subjected to numerous changes over its lifetime and in my opinion has lost its 19th century charm. Let the Bachmans tear it down and enjoy THEIR property as they see fit. Thank you for commenting on this post. I tried to get people to air their opinions, but either they don’t want to do so here, or they just don’t feel strongly either way – or they just don’t care. I can see both sides of this argument and am sorry it has upset so many people. I hope this dispute is resolved soon and doesn’t cause too much enmity in the town. I agree with the comment above. And I also love the fab bright colours for traditional architecture. 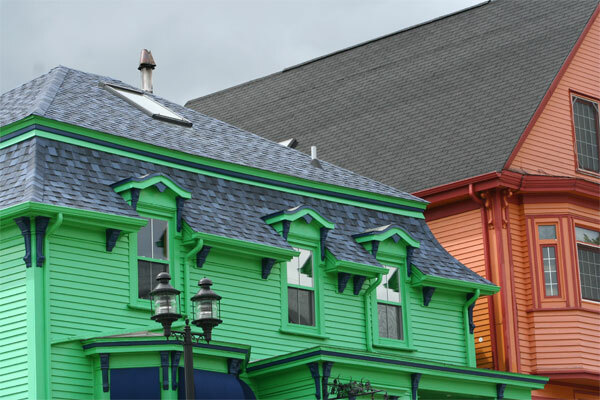 It adds some bunch to this area of Lunenburg. In my mind, architecture and design is alive and should reflect this, to a point anyway. Heritage tourism can make for some very pretty places, but it can also come across as mere sterile recreation of the past, as in a ‘dead museum’ kind of way – which is OK for a heritage museum but not so much as vibrant places to live..
Are you still blogging? 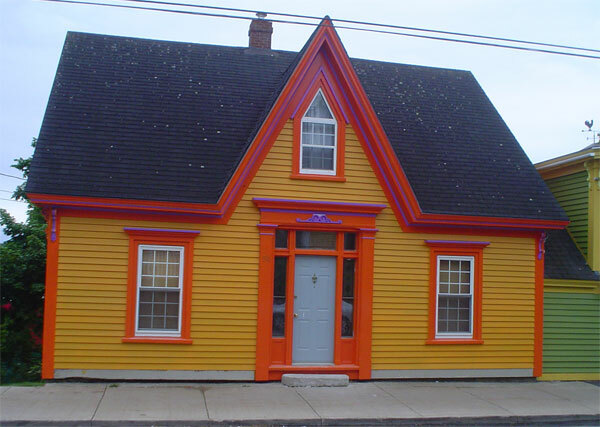 I am trying to find out where my Bachman ancestors lived in Lunenburg, and just saw that this building in jeopardy blongs to some Bachmans. Was it saved or razed? I’m coming to Lunenberg next year (2018) and would love to know how to find out where they lived. Baptist (firstgenerations that came from Germany in 1752) , John, Peter and Ephraim are the 4 generations that were there. Hoping for a place to start!